Eight hardy volunteers worked for 2 and a half hours Tuesday evening to help rid Ferdinand State Forest of invasive garlic mustard. 22 bags of garlic mustard were removed from the woods and as a side benefit, one volunteer also removed her first morel mushrooms of the season! 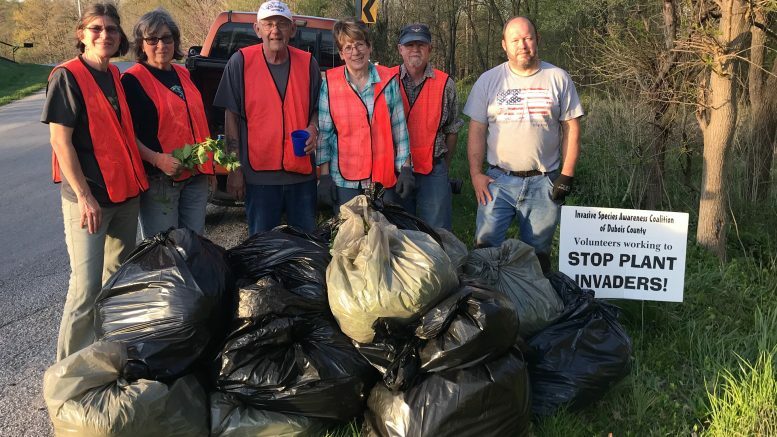 The 2nd annual pull was planned by Friends of Ferdinand State Forest and Ferdinand State Forest, with assistance from Invasive Species Awareness Coalition of Dubois County. More volunteers are needed to pull. Anyone interested in learning to ID and remove the plant can contact the Forest directly. Be the first to comment on "Volunteers Help Remove Invasive Species From State Forest"